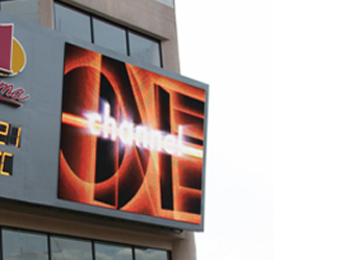 SpectrumVision is a Full Colour LED Video Display Board. It is 100% designed, developed and manufactured in Malaysia by our company. 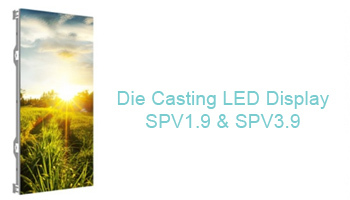 It employs the latest state-of-the-art chipset, from video digitizing down to Led drivers. Its 12 bit-4096 shades of RED, GREEN & BLUE colours, is capable of reproducing 68 billions colours of near real life images. Our SpectrumVision is designed with ease in maintenance in mind. The modular design with independent tiles that are stack together to form the boards allows for quick & easy remedial work to be carried out, and necessary, easily resitable. 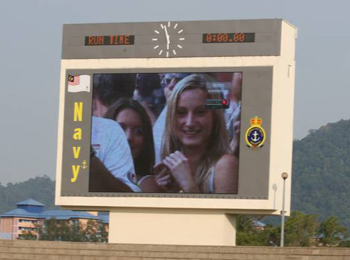 SpectrumVision finds its application at prestigious Sports Stadiums and as advertising media and as colourful video information display. Each SpectrumVision have the typical configuration as shown as above.